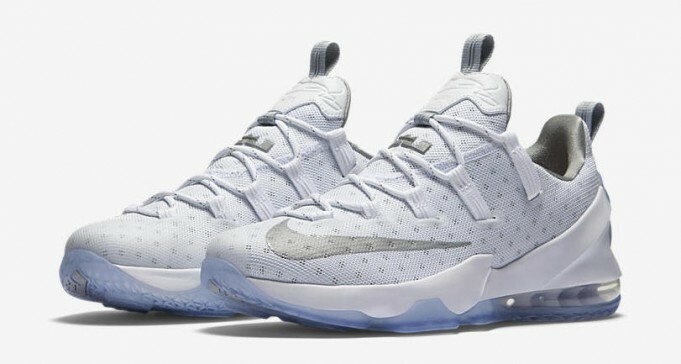 The light, strong LeBron XIII Low Men’s Basketball Shoe takes after its high-top cousin with a locked-down fit and excellent cushioning—but in a sleek low-top for a lighter feel on the court. Low-profile Nike Zoom Air units at the forefoot deliver incredibly responsive cushioning that bounces back and powers your next move. A visible Max Air 180 unit in the heel offers durable impact protection for hard landings. A one-piece inner sleeve made of breathable mesh offers sock-like comfort, zoned support and flexibility.